X-ray diffractometer D8 Advance of Bruker AXS is a multifunctional tool for phase and structural analysis of powders, thin films and bulk materials, analysis of liquid samples and reflectometry of thin layers (crystalline, amorphous or liquid samples). Vertical Theta-Theta Goniometer with -110 o < 2Teta < 168o goniometer control with stepper motors and optical encoders providing smallest selectable stepsize 0.0001o. Detectors of scattered X-rays: NaI scintillator type detector with low background (0.4 cps) and high dynamic range (up to 2×106). The modular design of the D8 ADVANCE enables an easy and straightforward change of configuration. The push-plug optics of the D8 ADVANCE enables a quick switch between the para-focusing Bragg-Brentano geometry to parallel beam geometry without realignment of the system. High temperature measurement up to 1400oC are possible in the air, vacuum or inert gas. 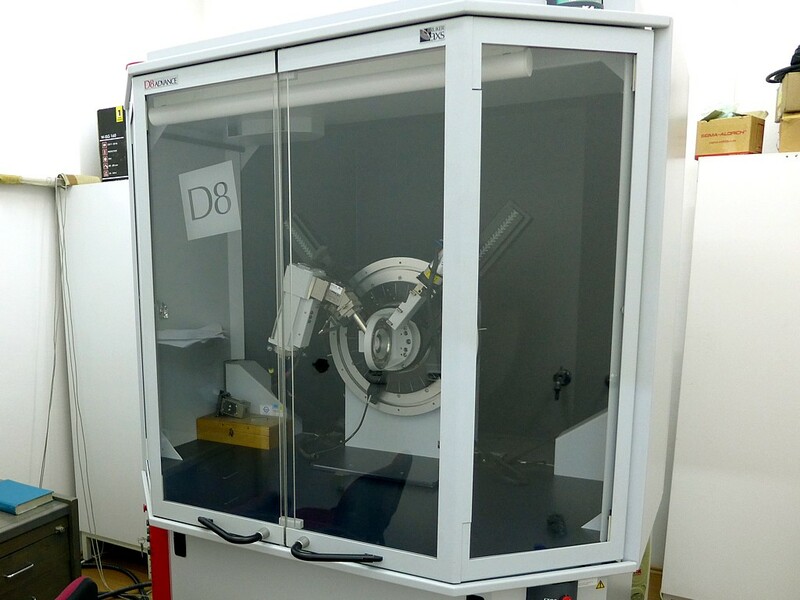 D8 ADVANCE has the ability to perform a full range of applications, from qualitative and quantitative phase identification, under ambient or non ambient conditions, to crystal structure solution from powder samples, crystallite size determination, micro strain analysis, residual stress analysis, and preferred orientation.